Oli Khan, Internationally recognised award winning celebrity chef and successful entrepreneur. Oli Khan has bagged many high honors and will doubtless bag many more for his adventurous, exciting and ingenious approach. He was Crowned Curry Chef of the year twice the National Curry Chef competition for 2002/2003 (Local winner) supported by Chartered Institute of Environmental Health (CIEH). The local newspapers described Oli as the ‘Curry King of Stevenage, Where he runs the Surma Takeaway and Spice Rouge Exquisite Indian Cuisine. Oli attended The British Bangladeshi Fusion Food Festival for 2005-2006 also captured the British Fusion Food Festival (BFFF) 2008 and served the president of Bangladesh. Oli started his first business at the age of 17 in at the same time he studies in business management; later Oli completed a computer literacy course, following which he obtained Diploma in IT. he got an advanced certificate in Food Hygiene In 2008 he got passed the diploma in multi-skilled food processing, cooking, conflict management and first aid. Oli has been editor for some of the community related magazine “Srigat Magazine” , “Onchal Magazine” and “Bangladesh Cuisine” for Bangladesh Caterers Association. Oli’s all achievement gained him ‘Best Caterer of the Year 2010’ at the golden jubilee celebration of Bangladesh Caterers Association. Luton Borough Council also conferred an honour on Oli when it invited him to officially open the first Taste of Luton Cultural Food Festival in 2009. The event attracted over 7000 food enthusiasts. He is always been very honest, devoted and committed to charitable worker. Recent years it was noticeable years for Oli, Cambridge Regional College & Barking & Dagenham college invited curry guru Oli Khan for an Indian and Bangladeshi cooking master class, being the judge of cooking competition Like Colchester curry chef competition, Barking and Dagenham chef competition and being with the Judging panel of NTV cooking queen 2013, Oli was a keynote speaker at the Barking & Dagenham College national apprenticeship week 2014, Oli also did key note speech at the London Olympia for the Takeaway Innovation expo 2013 / 2014. 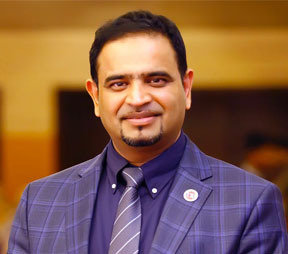 He is founder & Chairman of Soft Investment LTD, Founder and Secretary of the British Bangladeshi Business Forum (BBBF), MD of Oli’s Properties and foundation member of Luton & Dunstable Hospital NHS Trust, member of the British Legion Club and Community Governors Woolenwick School in Stevenage and with many more community related work.